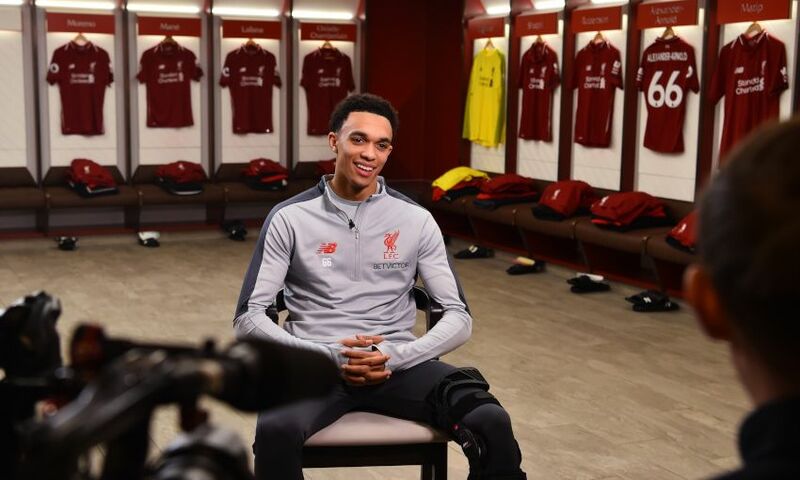 Trent Alexander-Arnold has achieved things he describes as ‘dreams come true’ over the past 18 months – but there is one particular something that’s meant more than anything else to him in the last year and half. The full-back became the latest player to commit his future to Liverpool by signing a fresh long-term contract with the club on Saturday morning, approximately 18 months on from penning his last deal. Since breaking into the first-team set-up under Jürgen Klopp, Alexander-Arnold has made 67 senior appearances for his boyhood club, scoring four goals. He’s also become a fully-fledged England international and represented his country at the World Cup finals last summer. However, asked to pick out his most cherished memory over the last couple of years, the 20-year-old’s choice isn’t something he’s achieved on the pitch. “I would just say the main thing is the support from the fans that I’ve had that I probably didn’t expect to have,” he told Liverpoolfc.com after signing his new deal. “I’ve always wanted it but never expected it. Just to have the support of the fans every single time I go out to play, to know that they’re behind you is something special. “I don’t think they understand how much they do for the team and how much we all really need them. They’re turning up every single game – whether home, away, abroad, whether it’s freezing cold, they are still there and singing their hearts out for us, showing how much they love the club and how much they love us as players. It’s our chance to repay them with performances and the things we can do on the pitch.